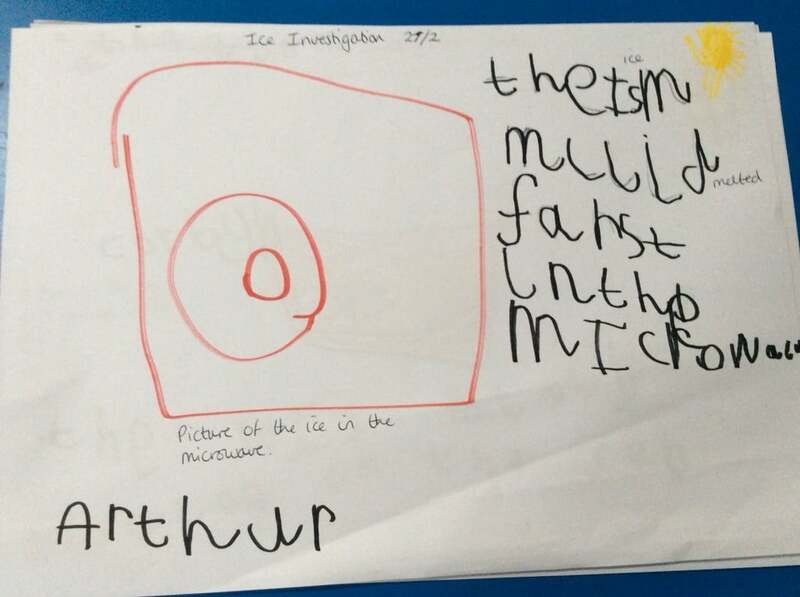 This curious group of children were able to share their ideas for an ice investigation. 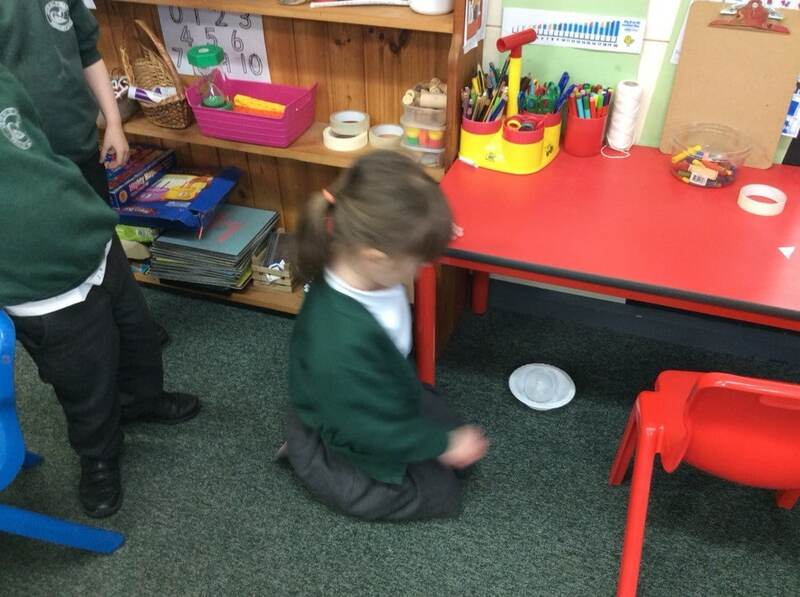 They decided they would find out where the ice melted the quickest. 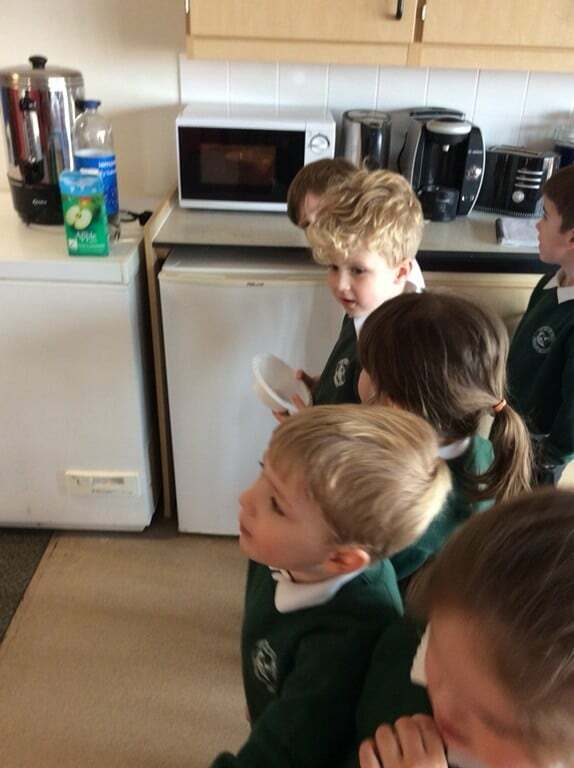 They came up with 5 places to test- outside in the sun, under the table, on the radiator, in hot water and in the microwave. 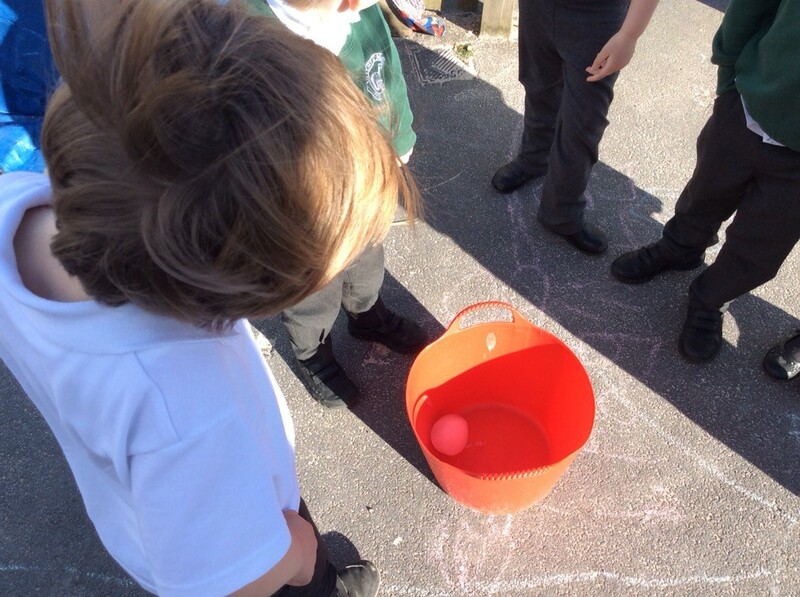 The children gave predictions of which place would melt the all of ice the quickest. We set these up and walked to the staff room to use the microwave in there. 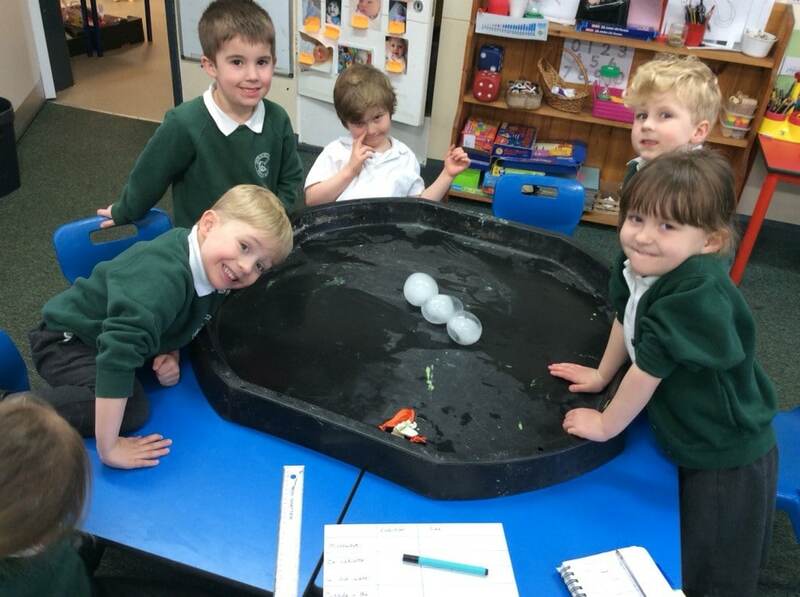 It took 4 minutes for it to melt the ball of ice and by the time we got back to FS the ice in the hot water had also melted so it was decided that they were joint fastest. The other balls of ice were still ice at the end of the day, with the one in the radiator beginning to melt. The group then recorded the investigation by drawing pictures and writing a sentence. They then showed these and explained the investigation to the rest of the class! 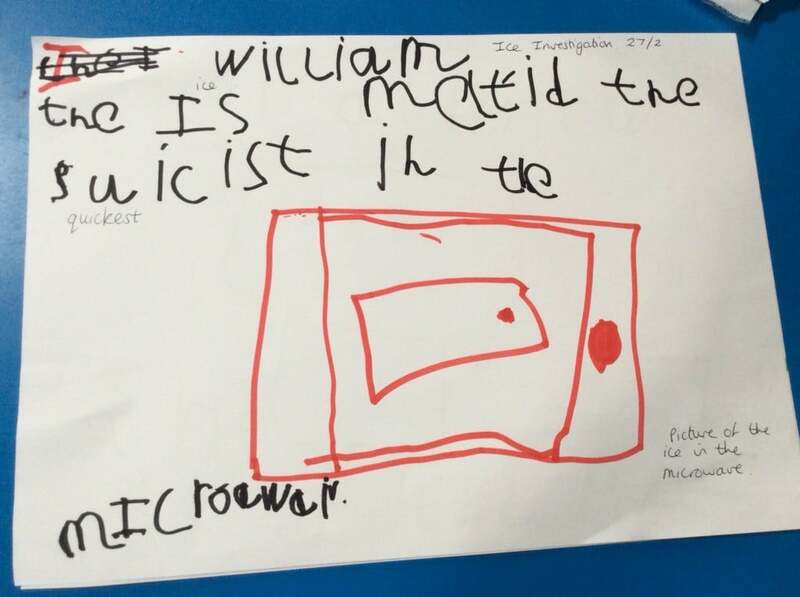 Brilliant scientific work!